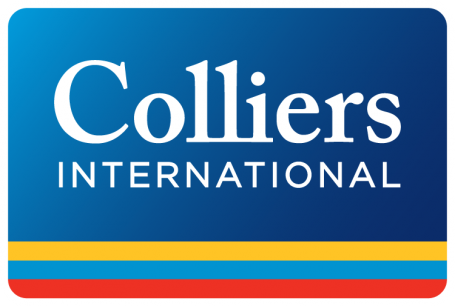 There is a growing global war chest of capital for real estate, with institutional investors looking to increase their real estate allocations and new sources of capital emerging, according to Colliers International’s latest research. Rising allocations to real estate from global institutions reached at least $840 billion in 2018, adding to the $340 billion in closed-end funds waiting to be deployed to real estate in 2019. The growing influence of sovereign and family wealth would double this allocation, and this only represents a 10.4% allocation to real estate. As allocations continue to rise alongside levels on wealth, new capital looking at real estate could hit $2.5 trillion by 2020. Global real estate assets under management (REAUM) doubled over the latter half of the investment cycle from 2014, with the top 100 global fund managers increasing REAUM from $1.6 trillion to $3.0 trillion. Meanwhile, REAUM held by the top 10 global funds rose by 60% over the period, pointing to increasing capital diversification. Of the additional real estate funds closed last year, combined with existing dry powder, the bulk of money is now aimed at opportunistic and value-added plays. At the defensive end of the risk spectrum, debt funds continued to grow, with available capital in funds up to $61 billion as of March 2019. Colliers’ analysis of a range of global investors shows that at least two thirds either have, or are in the process of, deploying more funds to debt vehicles and structures, some with a particular focus on development. Europe has been a direct beneficiary of the increase in global capital diversification, particularly in terms of fresh capital from Asia, which accounts for 30% of cross-border investment. Hedging benefits of buying in Europe apply to North American capital too, which invested heavily across continental Europe in 2018 with similar levels expected this year. Europe accounted for five out of the top six destination countries for US capital in 2018 – Spain, UK, France, Germany and the Netherlands, most notably in Madrid, London, Paris and Amsterdam. Big global cities dominated the deployment of capital, with New York and London leading the charge, ahead of Los Angeles, Tokyo and Paris. A further four markets – Hong Kong, Washington DC, San Francisco and Chicago – join the global gateway club of nine that have amassed more than $100 billion of investment over the last cycle. Within Europe, the major German cities of Berlin, Munich and Frankfurt alongside Stockholm form the European contingent of the next big group of global cities, witnessing $50-100 billion in investment activity since 2008, with Madrid and Amsterdam picking up momentum. The role of cross-border capital continues to grow across European cities and is at or well above the 50% mark. Although European and EMEA-domiciled funds continue to dominate, North American investors play a role everywhere, but Asian-domiciled activity is starting to expand into more locations including the core German, UK and Paris markets, but also further afield in Amsterdam, Madrid, Lisbon, Helsinki and Warsaw. “As the influence of Asian capital grows alongside the diversity of investor, we expect to see a bigger influx of capital into a range of key European cities, especially those with a good story to tell,” said Damian Harrington, Director and Head of EMEA Research at Colliers International.